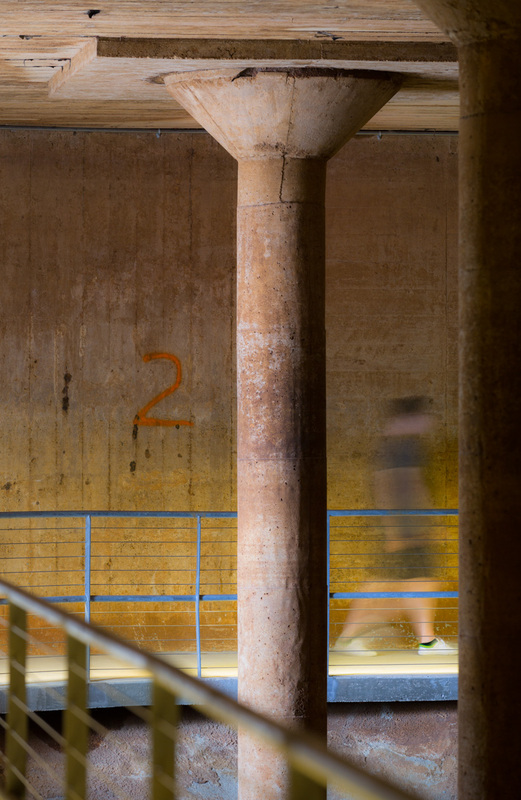 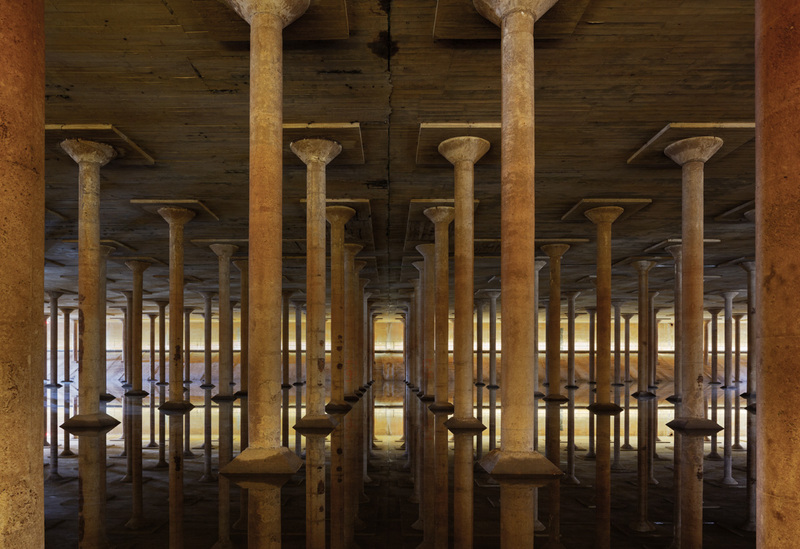 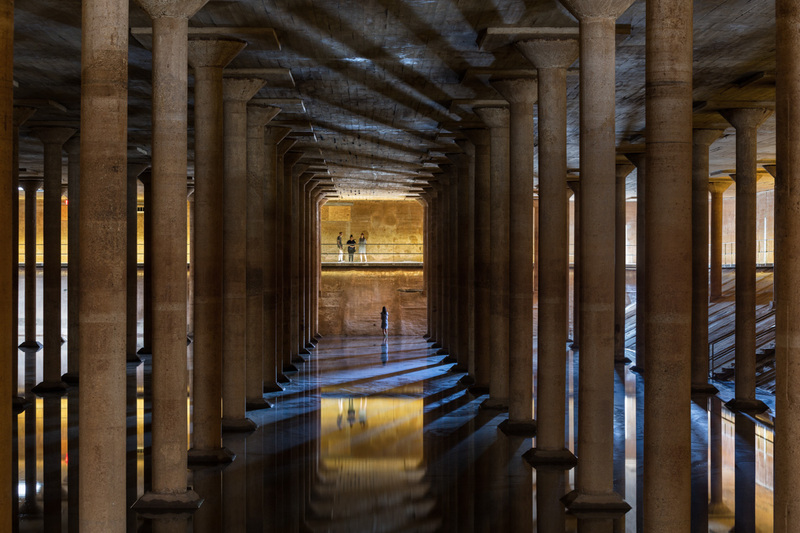 Bids had already been solicited by the City of Houston to demolish The Cistern when the design team wrangled an opportunity to drop through a roof hatch and view the space. 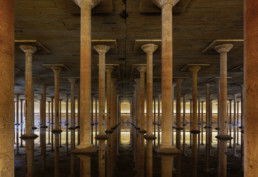 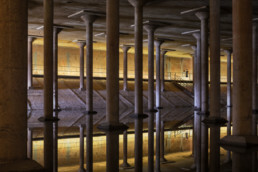 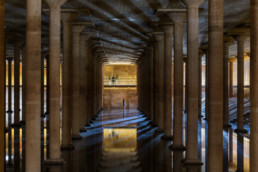 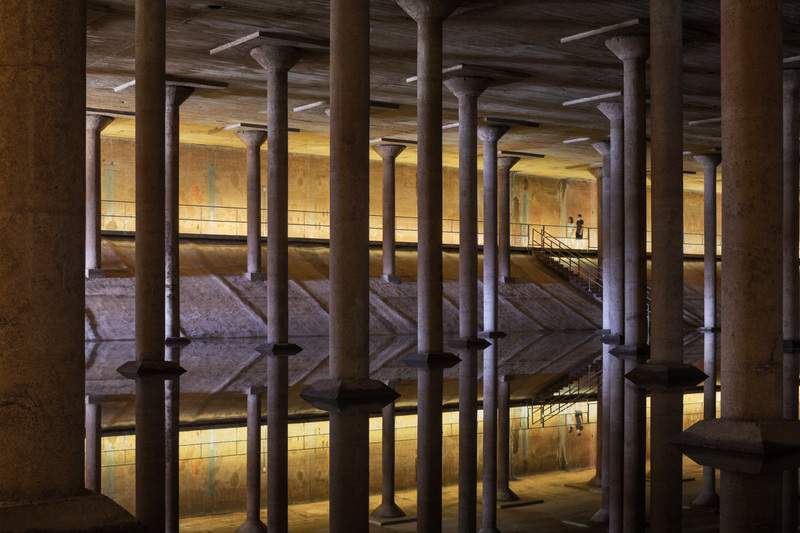 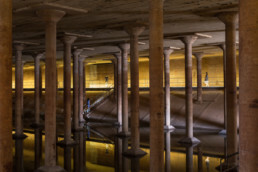 The defunct underground drinking water reservoir, built in 1927, had been out of service for years and the city was considering proposals for commercial uses of the space such as a parking garage. 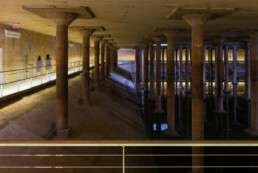 The team proposed to repurpose the space as a visitor destination that could accommodate installation art — particularly light and sound. 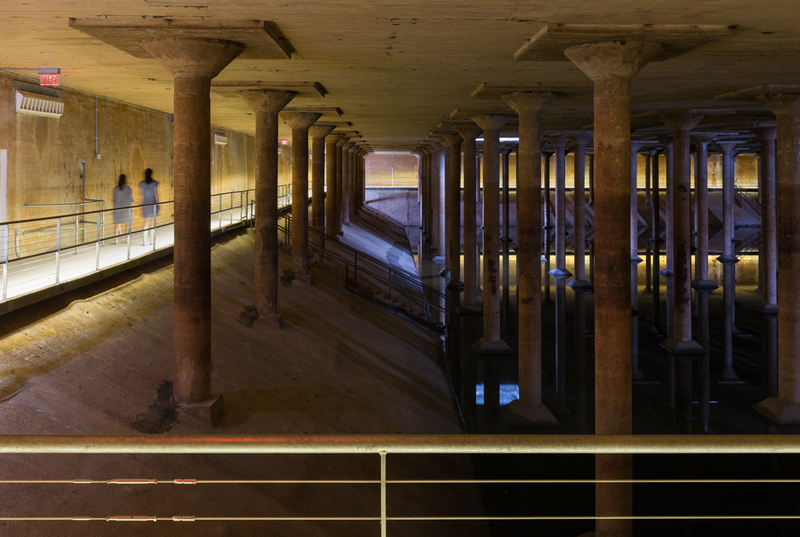 They worked with the non-profit client Buffalo Bayou Partnership to find a way to save it with the help of the Houston Arts Alliance and funding from a prominent foundation. A “less is more” approach was taken to preserve The Cistern. 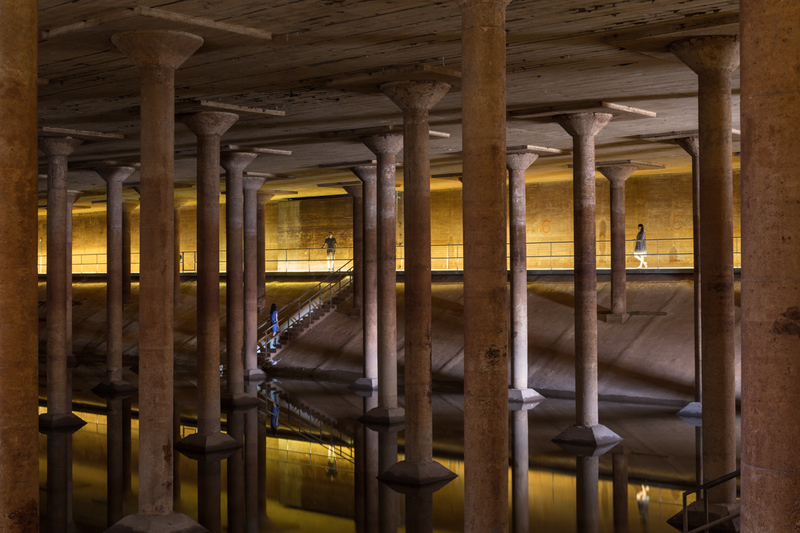 Berms now surround the half-submerged perimeter walls on the outside so from the exterior, The Cistern disappears into the landscape like a low, flat hill. 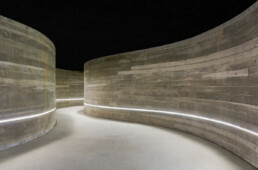 The visitor entrance is a curving tunnel clad with new splayed board-formed concrete walls. This allows eyes to slowly adjust to the dark interior and to reduce abrupt light spoilage of The Cistern. A soft, low line of LED lighting from the tunnel is built into a transparent handrail edging a delicate, unobtrusive walkway that was constructed around the entire perimeter. The fixtures are aimed down to provide direct safety lighting on the pathway and minimize compromise of the darkness of the 87,500 square feet, or 1.5 football fields, of interior space. 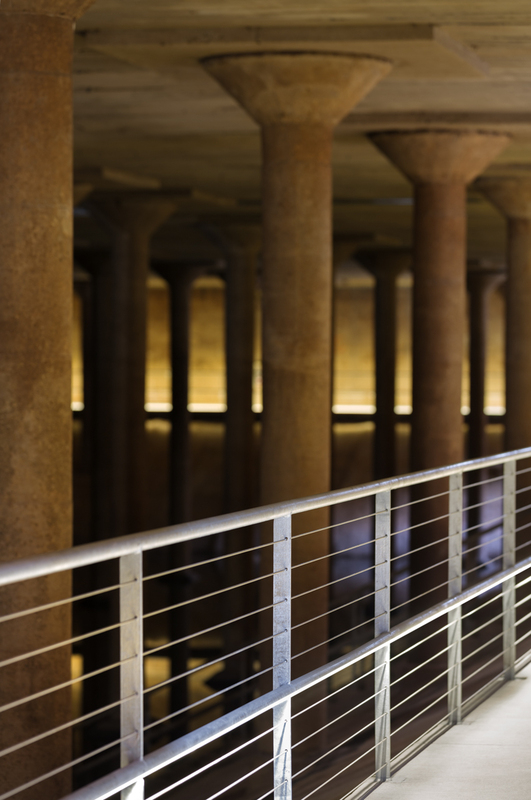 Four fire egress doors and two moveable hatches in the roof permit adjustable penetration of natural light. 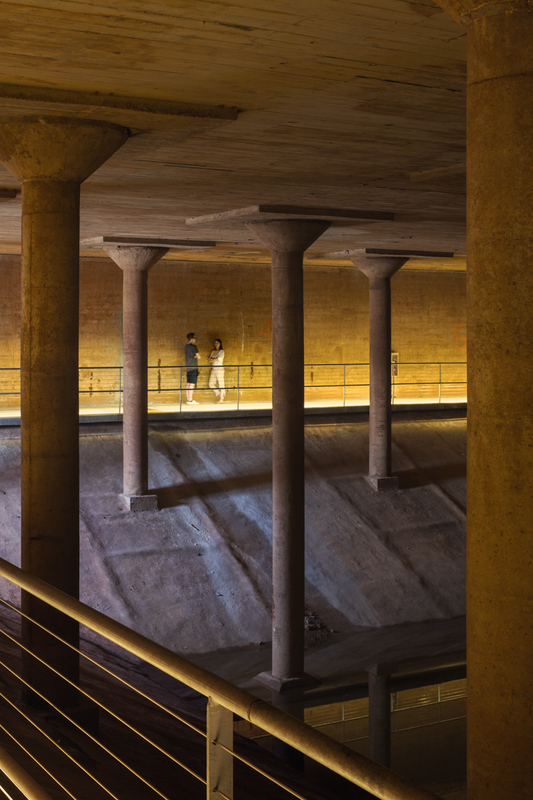 Its 8” thickened flat slab roof system is supported by 221 slender, round concrete columns with belled capitals and square bases. Concrete walls above the natural grade vary in thickness from 8” to 18” and the walls of the subterranean portion are sloped inward. 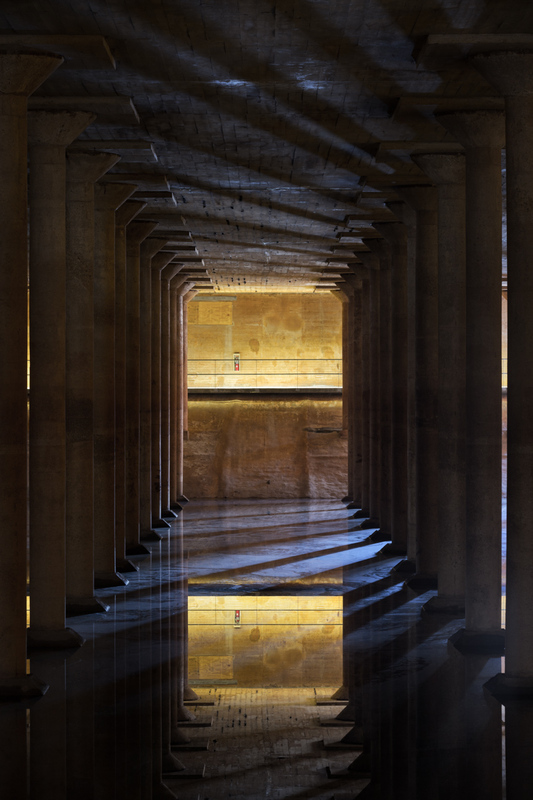 A constant depth of a few inches of water is maintained on the floor, creating dramatic reflections that emphasize the vastness of the space by making it seem double its actual height.